We've spent over 10,000 hours finding, reading and translating the most important and influential behavioural research, so you can apply it straight away. Box One offers the foundational behavioural knowledge your team can use in design workshops and planning sessions to build better products. When the design team come up with concepts for the product, highlighting the behaviours behind their ideas is essential. 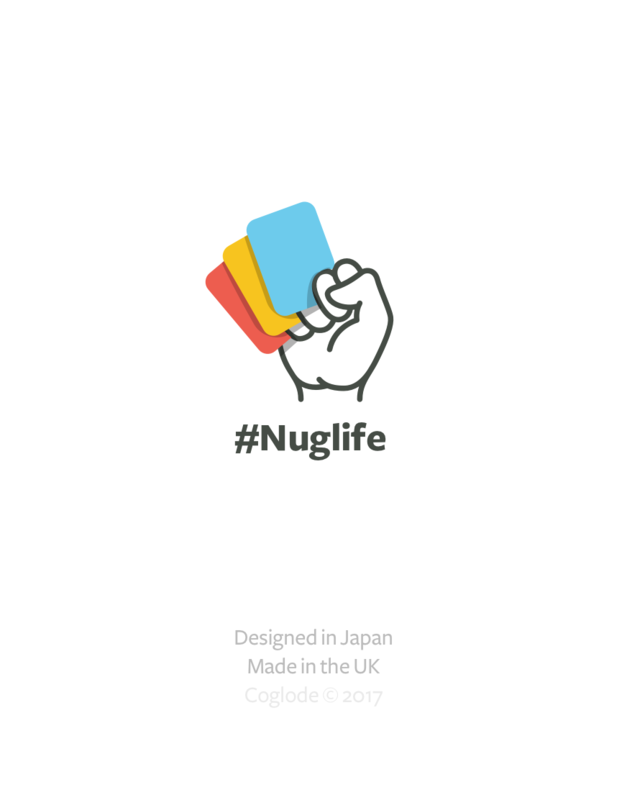 We've created Nuggets Badges as a reusable .Sketch file to assist with digital documentation of your behavioural designs. Along with distilling behavioural research papers for you, we also want to ensure that you're given the tools required to independently make full use of them. 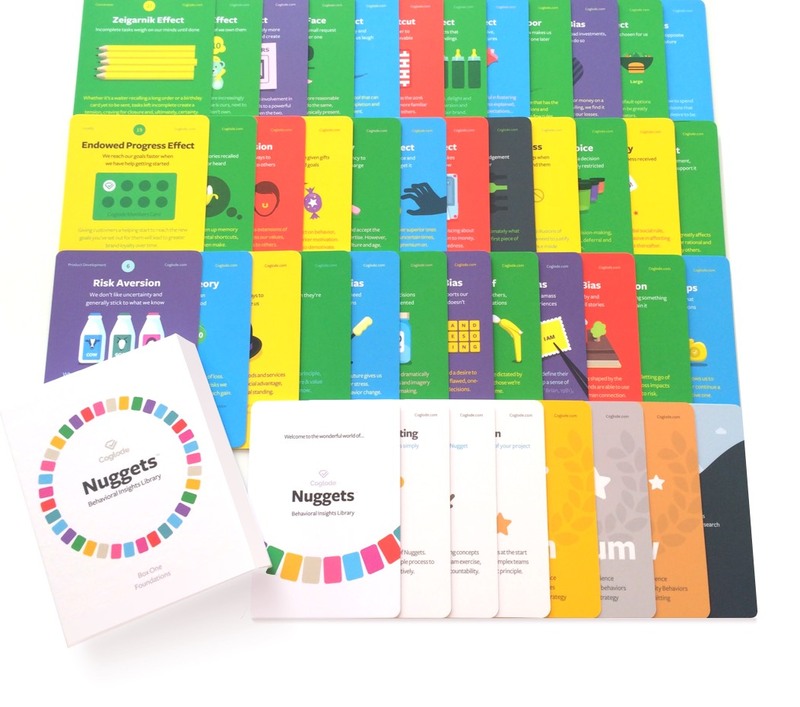 Based on use with leading teams at Google and Spotify, we've created a series of workshop-style method cards that help you use Nuggets to creatively solve different business challenges. Three methods are included in Box One. Thank you! Roxy will be in contact shortly. What can I expect from my investment in Nuggets? 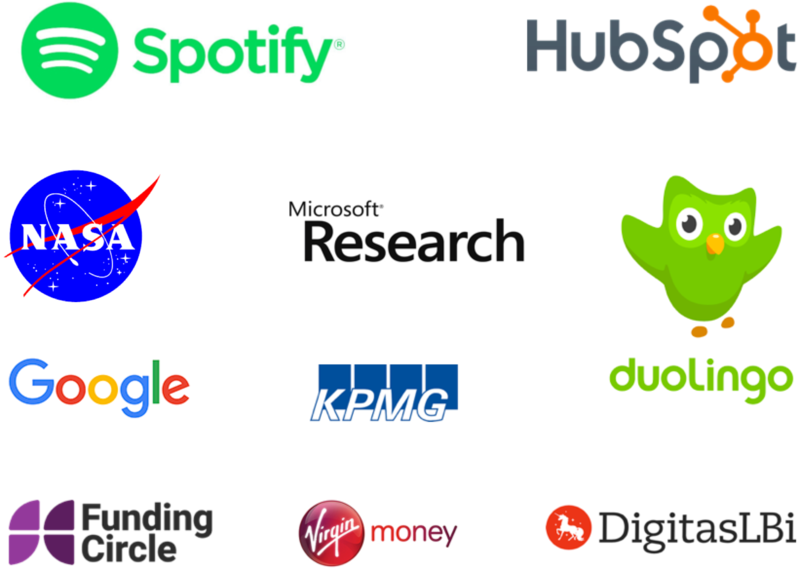 To acquire a tool that enables you to find, understand and apply behavioural insights to your business. These insights help you understand your customers’ decision-making psychology. 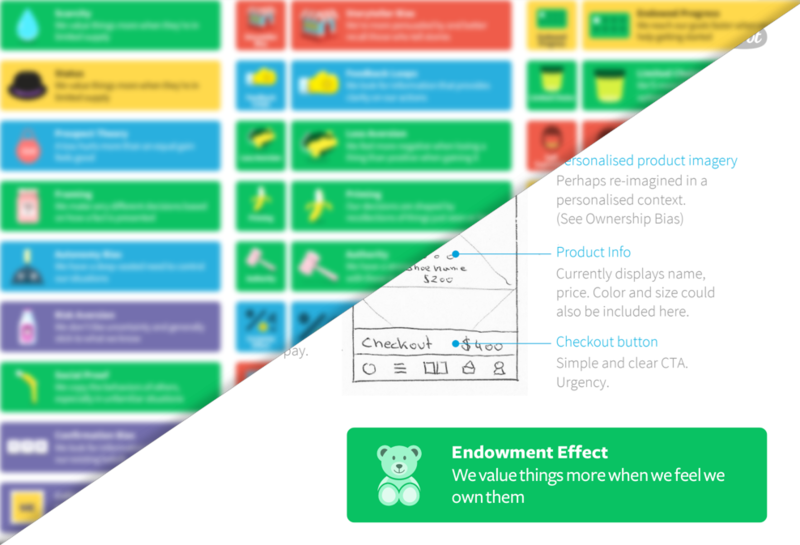 Designing around this enables you to make better decisions backed by research. How do Nuggets differ from your blog content? 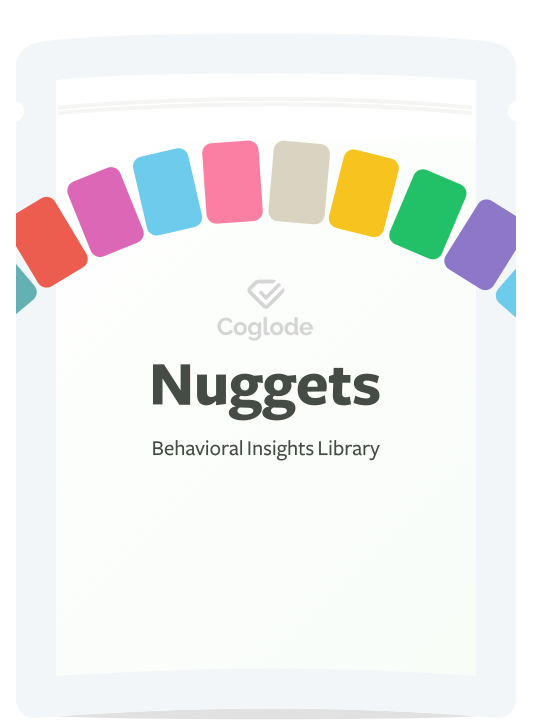 As opposed to the long-form content on coglode.com, Nuggets have been specially designed for quick consumption, application and shareability with your team. Though some of the basic principles overlap with the site, the majority are exclusive to Nuggets. How did you choose what went in Nuggets Box One? Nuggets Box One contains 36 fundamental principles that remain robust, broadly applicable and have changed little over the years. 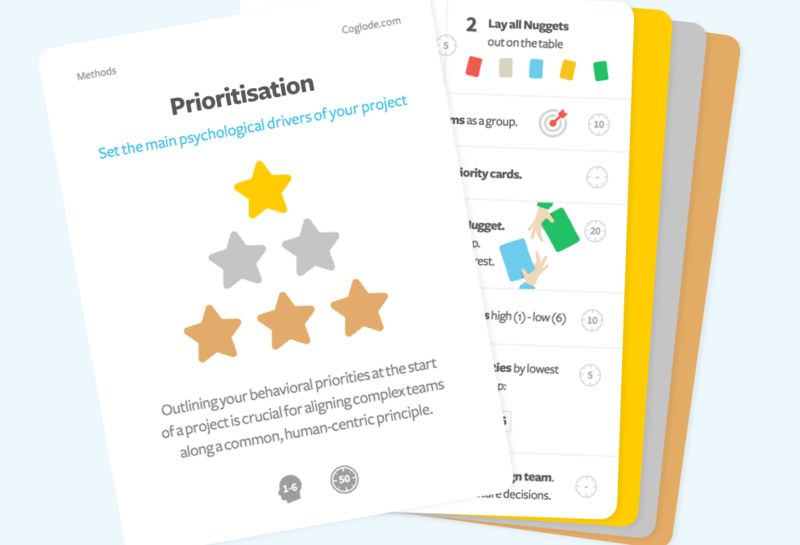 We selected the insights from a selection of over 200 insights to provide you with the foundational ones that your team should focus on and need in order to begin understanding and applying behavioural research. What is in Nuggets Box Two? Box Two and beyond will expose new research and will reference existing Nuggets where they may deviate / contradict, as well as complement one another. Our aim is to help you build a reusable Behavioural Insights Library that not only educates and celebrates existing research, but continues to embrace and expose nuances and tensions as new research emerges. What is your selection criteria for research? We scour tens of journals for you, uncompromisingly selecting research based on the following three principles: relevance, clarity and result robustness. To find out more about our 18-step Nugget creation process and the journals that we keep on top of, head to our Process page. When do I get my Nuggets? For Incremental and Advanced plans, your first Nuggets will arrive 1-10 days after you're billed, depending on your location and then shipped at the start of each month thereafter. 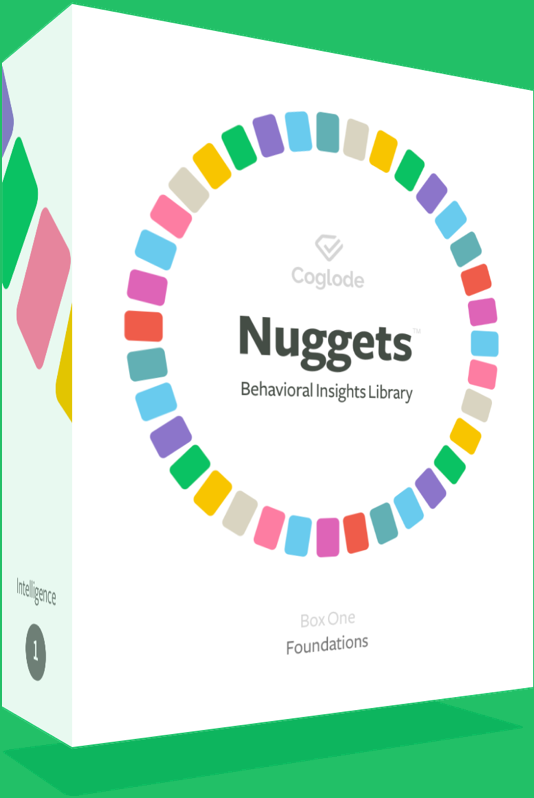 For those on the Mastery plan, you receive your first Nuggets in person at Coglode Academy. I can't attend your next Academy date but I still want the mastery plan. What should I do? Don't worry. After successful sign-up to the Mastery plan, we will get in touch via email to confirm the date of your Academy attendance. They run once a month, so if you can't join the next one available, we will offer you further dates. I live outside of the UK. 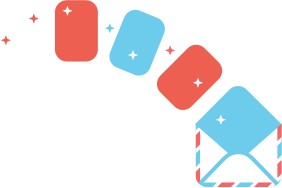 Do you offer Coglode Academy in other countries? Currently, we only run Coglode Academy near London in Brighton, UK. However, we have run team-wide training days for whole teams in other countries. Please see the Teams section of our Training page for more info. There are two of us who wish to book onto your training day. What should I do? 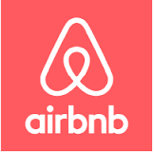 Please drop us a note via the team section of our pricing page and we'll manage your booking from there. I'm a subscriber. When do I get my Nuggets box? Your Nuggets box is delivered as part of your Starter Pack. How did you choose what went in Box One? To acquire a tool that enables you to find, understand and apply behavioural insights to your business. These insights help you understand your customers’ decision-making psychology. 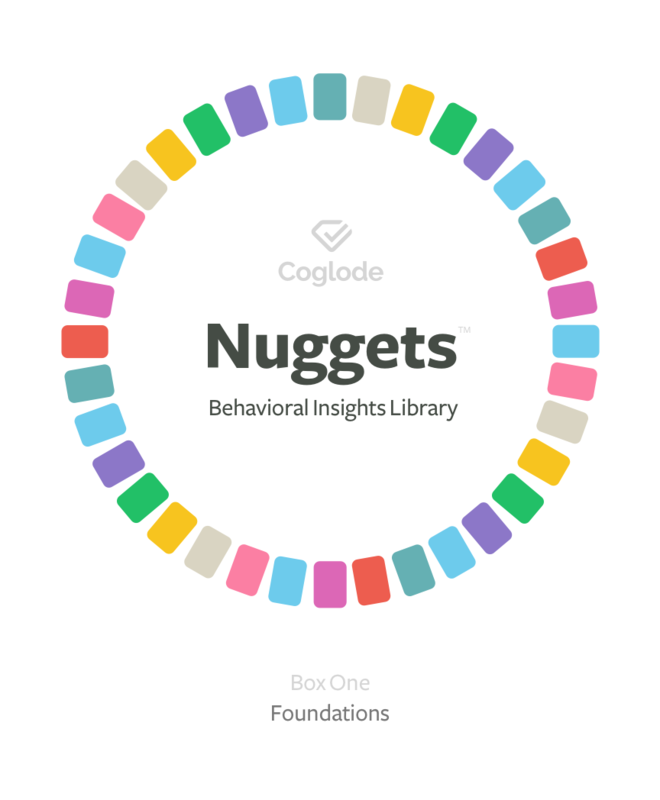 Nuggets therefore enable you to design around this psychology and make better decisions backed by research. Your Nuggets will arrive 2-10 days after you're billed, based on your location worldwide. How do Nuggets differ from the content on your blog? Don't worry. After successful sign-up to the Mastery plan, we will get in touch via email to confirm the date of your Academy attendance. They run once a month, so if you can't join the next one available, we will put you on the one after. I want to book your Mastery course. When do my Box One Nuggets arrive and when does my subscription start? It's customary to conduct the Box-giving Ceremony at the end of your Coglode Academy training day. Your subscription will start 30 days after attending Coglode Academy. 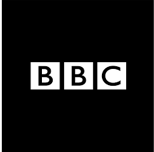 Please drop us a note on Intercom and we'll manage your booking from there. If you didn't get our research analysis, what else could you do? 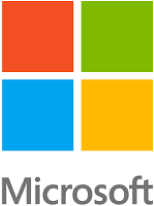 As well as being costly, the team could be spending their time on actually implementing findings and improving the product itself. Dependence on external resources prevents your team from building the vital internal knowledge required to design behaviourally. When leading companies are investing in discovering how to make products people love, not doing so isn’t an option.